Through extensive psychological testing done in the last century, certain behaviours and moods can be linked to specific colors and shades.We have taken the bioengineering of our Genpets one-step further, by altering and embedding certain personality characteristics into each type. Each personality type of the Genpets has been linked to its respective color, and that color is then used as a base for each package. 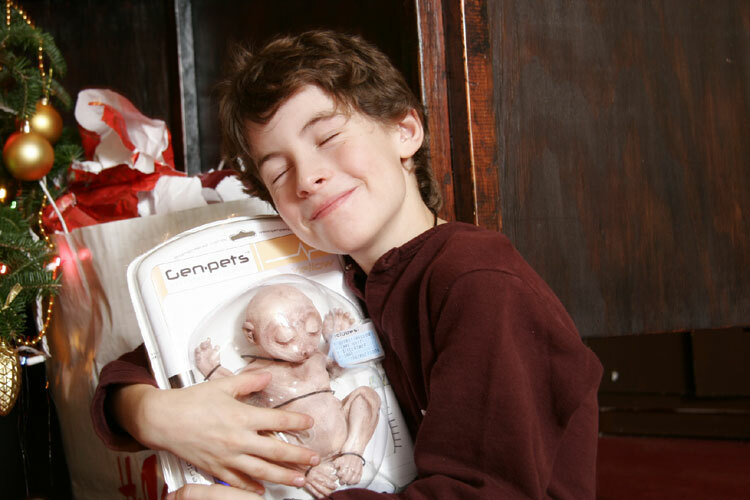 For example, a child wanting a tougher, more aggressive Genpet™ would choose a red color coded one, rather than a more calm, green coded one. 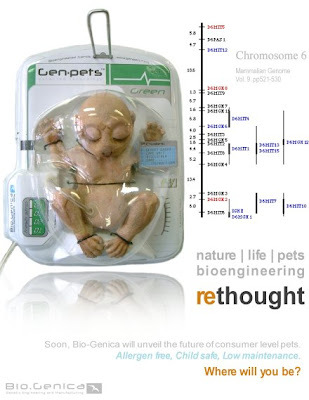 GenPets were developed using well-established genetic engineering technology. We use a process called "Zygote Micro Injection" which is quickly becoming a favourable method to combine DNA, or to insert certain proteins from different species. Most notably it was used in 1997 to splice mice with bioluminescent jellyfish (link) and has since been used to create glowing rabbits, pigs, fish, and monkeys (link). 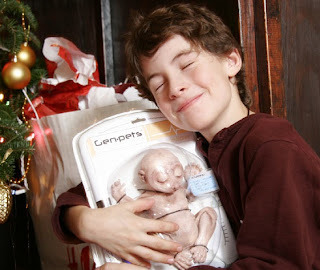 Since then, human DNA has been injected into rabbits, chimpanzees, spider DNA into sheep, and now, Genpets have arrived! And no matter which type you chose, it will be an excellent pet. Genpets™ learn and adapt. They are fully living pets, but better, modified to be as reliable, dependable and efficient as any other 'technology' we use in our busy lives. Each package even comes with it's own fresh strip, so you can be sure the GenPet you take off the shelf is not past its expiration date. Check out the reseller catalog (pdf) for all the details. GenPets are unfortunately not yet available to the general public. However, you can purchase Bio•Genica and GenPet-related merchandise from Cafe Press. It's so cruel to let a kid do whatever he want's to a poor live creature just to have fun, and it will have bad effect on this kind of kids in their life. they will have no respect for life anymore.